Two of Botswana’s conservation organisations were in the news recently, highlighting their efforts to help humans and wildlife coexist. In a giant elephantine step for conservation, Ecoexist reported the official establishment of thirteen elephant corridors in the far north of Botswana (read their announcement here). Meanwhile, Jane Horgan of Cheetah Conservation Botswana (CCB) gave an interview to The Sydney Morning Herald about their projects aimed at reducing farmer-cheetah conflict. Setting aside areas where elephants can move without encountering crop fields or homesteads may sound like a relatively simple task, but it most certainly is not. As with many conservation issues, the establishment of corridors involves a dizzying array of stakeholders. From local farmers and their village elders who are directly and indirectly affected by elephants, through to a variety of government divisions involved in agriculture, land-use planning, and the environment, all of these groups must be consulted, and their varying priorities considered and included in the planning process. It should therefore come as no surprise that it has taken the Ecoexist team in collaboration with Tawana Land Board, Seronga sub-landboard and USAID SAREP several years to reach the point where thirteen corridors have officially been designated. 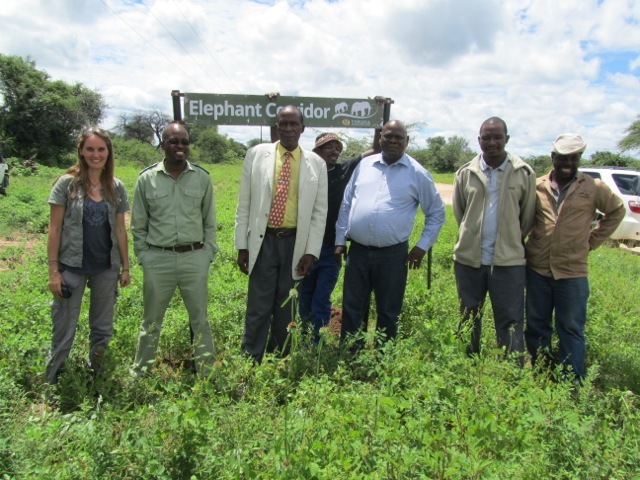 Ecoexist's Dr. Anna Songhurst (far left) announces the establishment of elephant corridors with representatives of all the local stakeholders that helped make this dream a reality. © Ecoexist. We heard all about Ecoexist’s achievement first-hand from Dr. Anna Songhurst, their Field and Program Director, who recently gave a talk in Maun, Botswana. I would like to highlight just two of the crucial aspects of this project that should be hallmarks of all conservation efforts dealing with human-wildlife conflict. Firstly, the identification of corridors was based on thorough research that produced sound data on where the elephants were moving and what the possible reasons were that they raided some crop fields more often than others. The research began with Dr. Songhurst’s own Ph.D. work, and it continues with other students joining the Ecoexist team. There is no substitute for information backed up by solid research when looking at ways to resolve a complex issue such as human-elephant conflict. Secondly, the results of these studies were not just left on a shelf to gather dust, as so much scientific research does, but brought to the attention of community members and policy makers, who together are the custodians of wildlife. Data on elephants were thus combined with relevant information about people and the environment as a whole. The holistic nature of this project, by taking into account the needs of people and elephants, sets it apart from many other projects that tend to focus only on the wildlife side of the equation. In a similar vein, Jane Horgan (M.Sc.) spoke about CCB’s multi-pronged approach to farmer-cheetah conflict. CCB uses a combination of education, research, and promoting locally applicable solutions to reduce livestock losses to farmers. 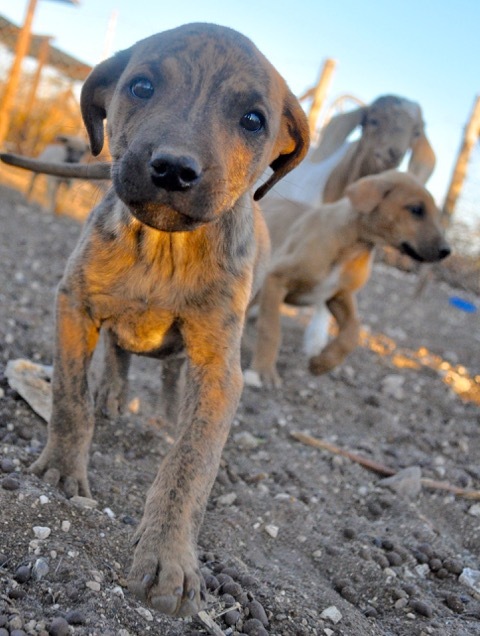 One of these measures is to raise locally bred dogs with livestock, thus turning them into guarding dogs that will protect their flocks. Cheetahs need large areas to thrive, including farmlands where they share space with livestock and farmers. However, farmers are unwilling to share their land with predators that are capable of killing their sheep and goats. 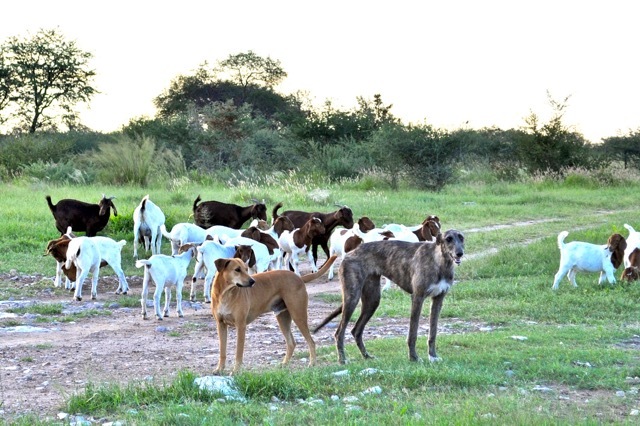 The dogs help solve this problem by keeping domestic animals off the cheetah’s menu. Conserving the population of cheetahs outside protected areas in southern Africa is critical to saving this species from extinction. Within national parks, cheetahs often occur at low densities, as lions and spotted hyenas frequently kill their young and steal the carcasses of animals killed by cheetahs, before the cheetah can eat its full. On farms far from protected areas, larger carnivores have been eliminated, which provides an opportunity for cheetahs to thrive, provided that the cheetahs are not persecuted to the same degree as spotted hyenas and lions. This is why conservation efforts on farmlands, such as those conducted by CCB, are desperately needed. As unlikely as it may seem, elephants and cheetahs have something in common – they both need space to live beyond protected areas, which requires tolerance and understanding from the people living there. Balancing the needs of people with those of endangered species is a tricky business that requires patience and dedication. 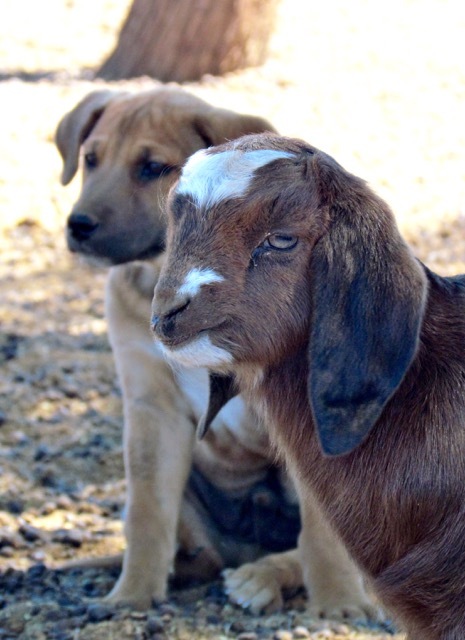 We applaud the efforts of Ecoexist and CCB that use multiple strategies based on science and community outreach to help negotiate coexistence between people and animals. Acknowledgements to Dr. Anna Songhurst and Jane Horgan for photographs and draft edits.